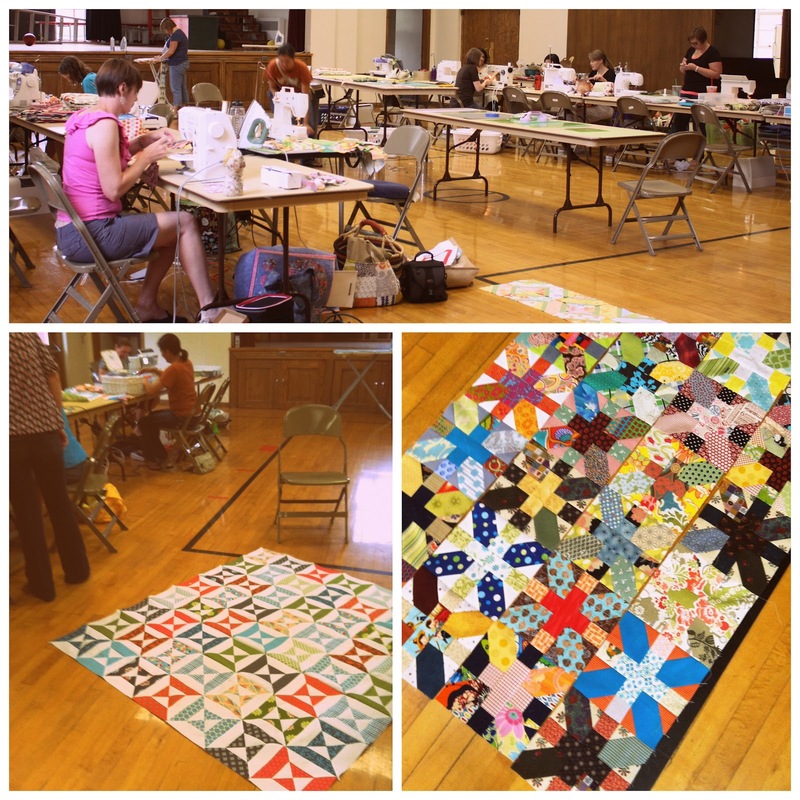 Yesterday I went to “Sewing Saturday” hosted by the Salt Lake Modern Quilt Guild. I don’t make it to their monthly Thursday night meetings because the distance and week-night status are tricky with my family schedule, but this is my second time getting to a bi-montly Sewing Saturday, and I always thoroughly enjoy it. I always love the inspiration to be had around other quilters, not to mention the fun time visiting with great people and stuffing my face with awesome pot-luck food. It felt particularly nice to go yesterday. I think I was in need of a therapeutic escape. We’ve officially survived enjoyed 6 weeks of summer. I will say that I’m somewhat pooped, but probably less so than other years. Summer and I have a complicated relationship. There is so much to love about summer – food, friends, warm breezy nights, beautiful weather, fresh air (when there are no fires burning), relaxed schedule. At the same time with 4 kids at home, plus assorted friends and neighbor kids, depending on the day, I start to feel like Julie from the Love Boat. It can also be exhausting and overwhelming keeping up with the constant call for food, popsicles, entertainment, and trying to keep the house from evolving into total chaos. It’s a balancing act trying to schedule enough lessons or activities to provide some structure, but still leave time for the flexibility to be lazy too. There have been some summers in the past where I have tried to do or expect too much and put myself on the verge of a nervous breakdown. This summer I made a vow to try to just roll with life. Not let the house get to me, try not to nag the kids too much, not try to “get stuff done”, and just live in the moment. So far, I think I’m doing fairly well most of the time. We still have our ‘moments’, but I don’t want to be guilty of wishing the summer away. I have to constantly remind myself there will be time for routines and schedules and “getting stuff done” later in the fall. 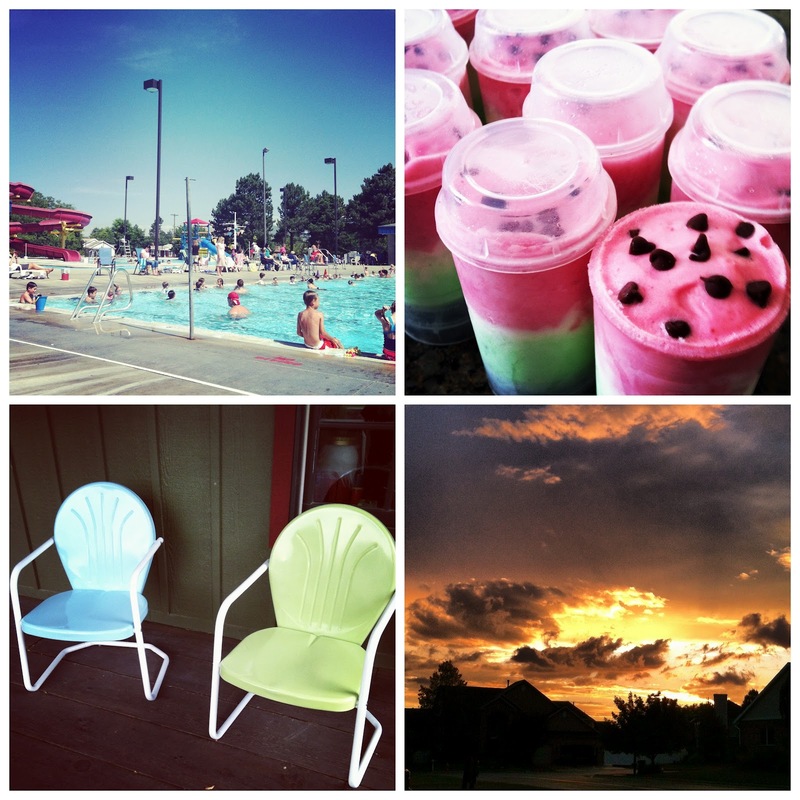 What are your favorite summer coping mechanisms enjoyment strategies? Thanks so much for the Purple-y quilt love! Another casualty of summer is my computer time, so my personal responses are suffering. I’m so grateful for all of your comments and sorry not to respond more individually. Thanks for your understanding. You’re all the best. There is nothing wrong with taking some time for yourself and I&#39;m glad you enjoyed your sewing time. Can&#39;t wait to see what your Dream On will become! Pretty! I know those tables and chairs, the room looks so familiar! Glad you could go! Just take a deep breath and enjoy the kids all Summer. They are grown and gone too soon! Amy I will join you in the &#39;complicated summer relationship&#39; status. It truly is a monumental challenge to keep these kids entertained, motivated and upbeat while feeling completely exhausted from the heat and constant going, school doesn&#39;t start soon enough for me. Hi Annelies,<br /><br />Great question – I&#39;m going to update the post! I&#39;m using the pattern from this quilt: https://www.diaryofaquilter.com/2011/12/navy-and-green-crib-quilt-pattern.html and I&#39;m loving how the change of colors changes the whole look! Love your pics! What is that yummy looking layered drink with chocolate chips(?) on top? Is that your gorgeous Dream On quilt up there? Did you make that one up on your own or is there a pattern I need to buy? I love it. Like I want to head straight to sewing room and get started on something that gorgeous! Please share!<br /><br />And you&#39;re so right about summer. It&#39;s more fun when you&#39;re a kid. I&#39;m totally feeling you on the summer love/hate thing. I also have 4 kids and it can be really overwhelming to have them around ALL the time…I started doing much better once I stopped being the Entertainment Committee and let myself do a few things that I enjoy. Sounds like a fun quilty get away! We always did the Summer Reading Program at the library and &quot;Summer School&quot; that I made up (educational computer game, books, write me a paragraph about…). I want to know more about the pattern in the first picture. I love that! 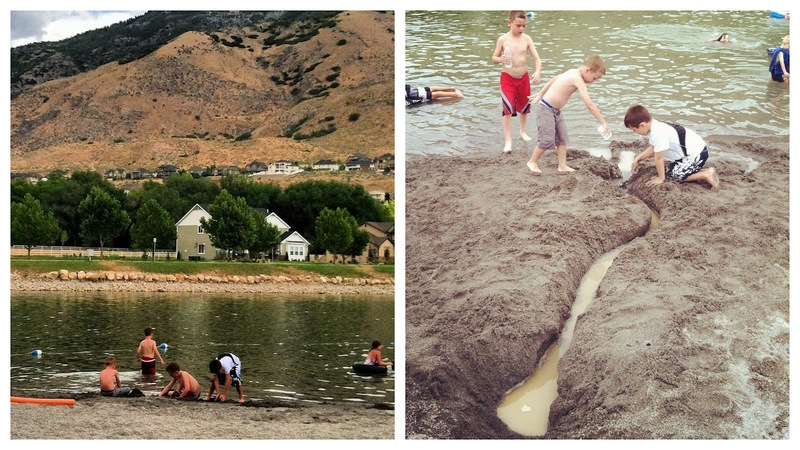 My husband always said &quot;Your going to miss all this when they are grown.&quot; That put summer &quot;enjoyment&quot; into perspective for me. Yes, I needed some me time everyday to remain sane, but it a blink of an eye the kids were grown…and I miss the bustle of them being home. It looks like you&#39;re having a wonderful summer Amy — water + quilt time + ice cream!!! Sounds perfect! I&#39;ve got a MQG meeting tonight. Not sewing, but I am sure looking forward to it. Summer vacation is only in it&#39;s 3rd week here, but I am so tired. The Quilting night looks like a REALLY good time! And I love how the pattern changes looks with the different fabric! Thanks so much for sharing!